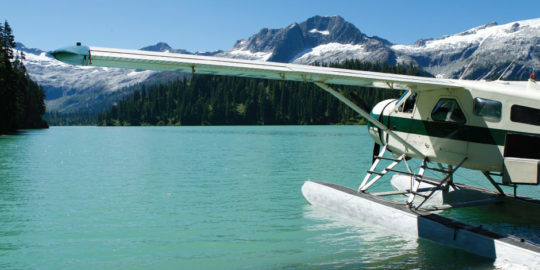 For the last 10 years I have been flying families, professionals and tourists to and from the Sunshine Coast, Vancouver and Vancouver Island in the famed de Havilland Beaver a timeless classic that is renowned for its safety and reliability. I grew up in Thunder Bay Ontario and got my start in the aviation industry at fly-in fishing resorts. 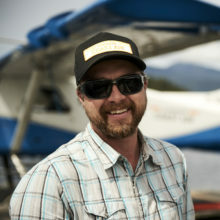 I came out to BC over 15 years ago to fly with a seaplane company in Sechelt and fell in love with the West Coast. In 2014 I took over this business now known as Sunshine Coast Air. I am foturnuate to have the job of taking people from around the world on our ‘flightseeing’ tours to view the Coast’s natural beauty. Soaring over magnificent waterfalls, rugged coastlines, turquoise lakes, and stunning mountain ranges are just some of what our guests experiences when you take a tour with us. I wear several hats at Sunshine Coast Air, as not only am I the chief pilot but am also responsible for operations and maintenance. It takes a lot of hard work, dedication and determination to be in the aviation business but I feel lucky everyday to be doing what I love. Sunshine Coast Air is 100% locally owned and operated and supports the community through memberships, sponsored community events and more. Sunshine Coast Air partners with several tourism operators offering unique experiences for locals and visitors to the coast.